Guess What’s New in the TMA Garden? What’s red, sweet and makes yummy pies, jam and ice cream? Strawberries of course and they were just recently planted in our garden. In early November, Koppes Plants graciously donated 200 bareroot Chandler strawberry plants to the TMA Garden. Chandler strawberries are the typical strawberry that is sold at roadside stands. Koppes Plants, located in the foothills of the Yosemite Valley in California’s gold country, is a family owned and operated business that was founded in 1949 by the late Max Koppes. Max was a pioneer at every level in the production and distribution of strawberry plants worldwide. He was instrumental in the use of polyethylene plastic as a mulch in the field. He developed corrugated strawberry trays and plastic baskets to hold fruit, and he was an avid promoter of fresh strawberries as a cancer fighter and as an aid in preventing heart disease. A few weeks ago, Mrs. Meekhof and Toohey’s fourth-grade classes had the opportunity to plant half of the donated strawberries and Mrs. Mulligan’s class planted them today. Strawberries are loved by most of our students, so we find that they sort of help themselves to them when they’re out in the garden. This experience may inspire them to grow their own garden that produces food they can eat at home. 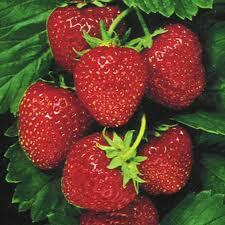 Once harvested, you may find our strawberries at future produce sales. So if you have a fourth grader, ask them about their strawberry gardening experience. Maybe they have a story to share with our blog. Students can submit their garden stories to garden@mytma.com. Plus, don’t forget to subscribe to our blog, if you haven’t already. Simply use the subscribe box located on the top, left side of the blog.